Hello Gingerbread fans, it has been a while since I’ve left a message. With the Holidays just around the corner I find myself geting in the spirit. 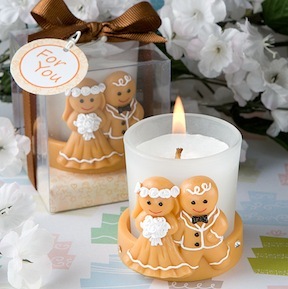 I think Gingerbread novelties are so darling just like these wedding favors. By the way, if you get a chance to go onto Ebay there is a store called Crazy4me try to find the site Bestofcrazy4me and their is a book book called Gingerbread Princess. Buy I just know you’ll love it!